After passing the Capo Colonna, we arrived at Crotone, where we saw the Archeological Museum. 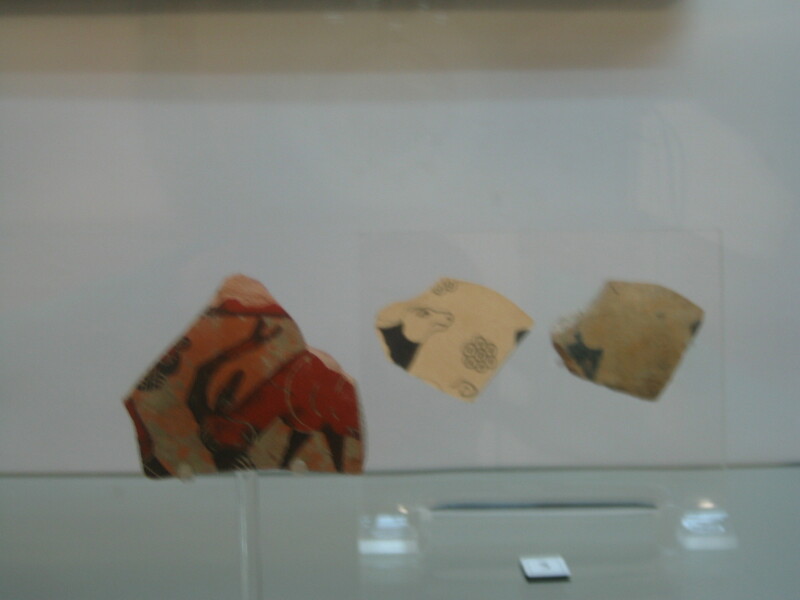 Here you can see early ceramics with animals such as goats drawn unto them. 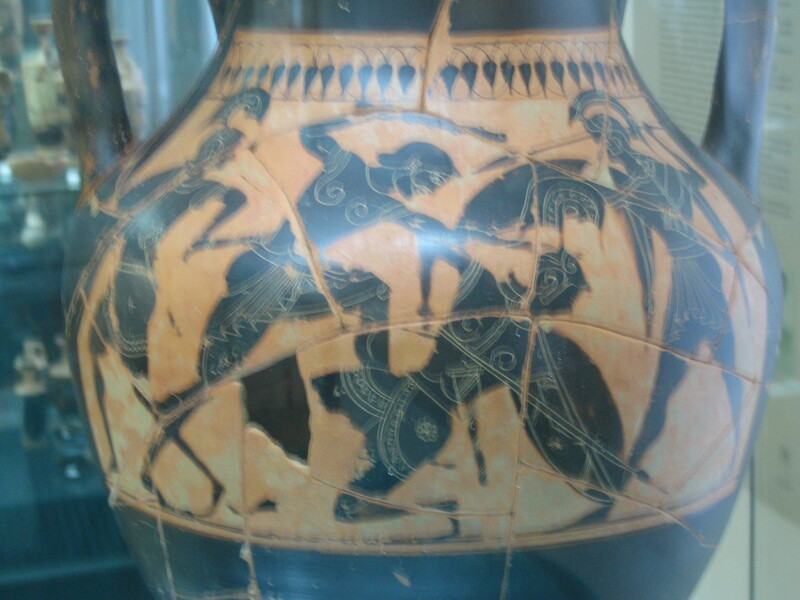 This black-figure vase showed war scenes (maybe about the Trojan War as so often). 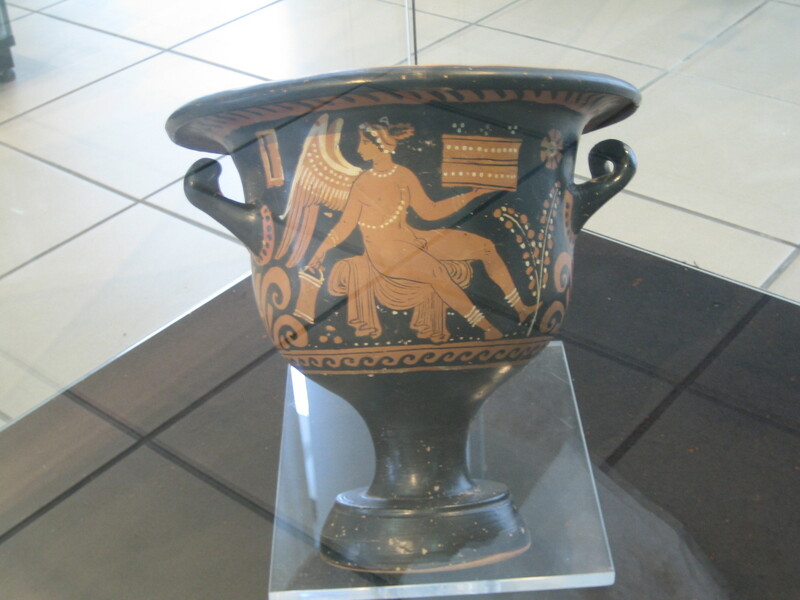 This red-figure vase shows a deity (maybe the messenger Hermes). 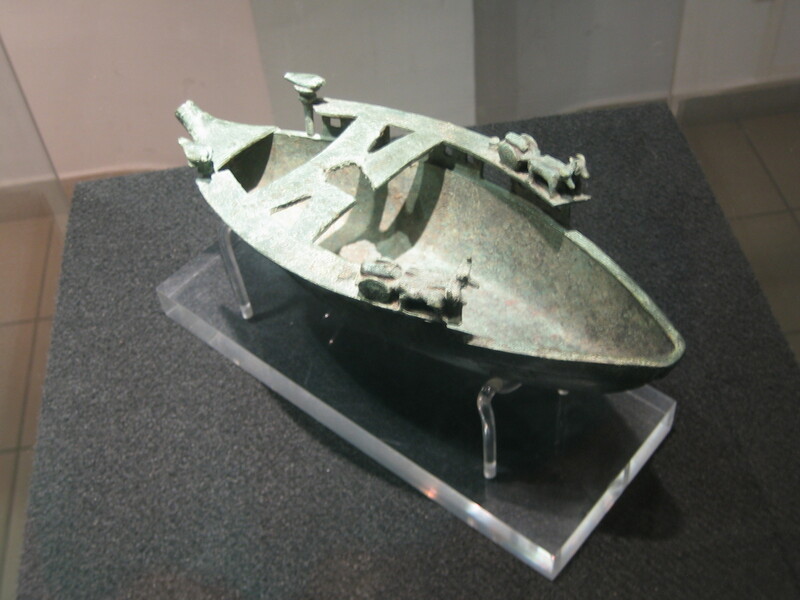 A boat made of metal shows us that many materials were used to make art. 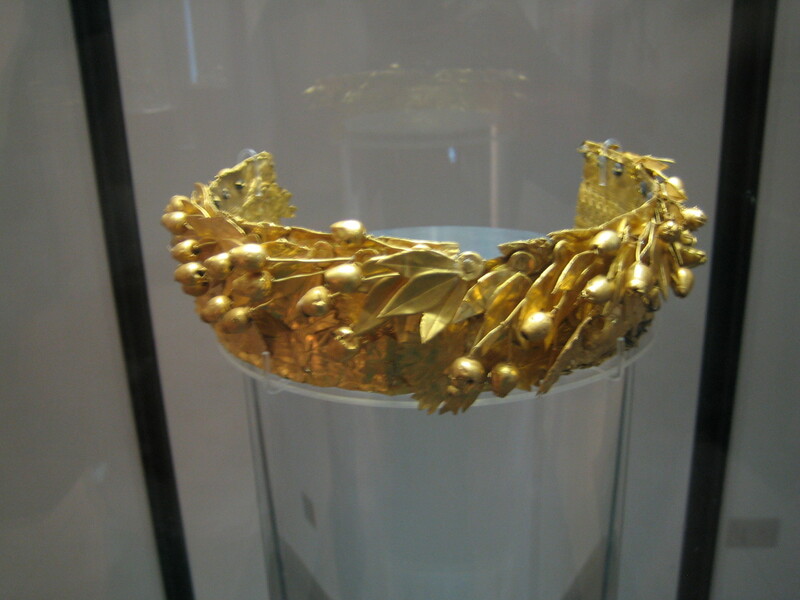 This golden diadem was one of the most beautiful pieces of the exhibition; you could even try on a duplicate! This content has been entered in the Erasmus Travellers Competition and have earned 115 points.